Indonesian Navy (TNI AL) chief of staff Adm. Marsetio opened on Friday the Palu Naval Base in Palu, Central Sulawesi, as part of an effort to secure Indonesian waters, especially in the eastern part of the country. “The naval base location is ideal and strategic, and there is no such dock in Indonesia like the one in Palu,” Marsetio told the media after the opening ceremony. He said the naval base was precisely located in Palu Bay and at an ideal depth. It is the third-deepest sea in the world. It will also serve as the Navy’s submarine base, where three submarines purchased from South Korea, will be stationed. “The KRI Cakra 401 and KRI Nanggala 402 submarines have often docked here, as the sea is very deep and suitable for submarines,” said Marsetio. 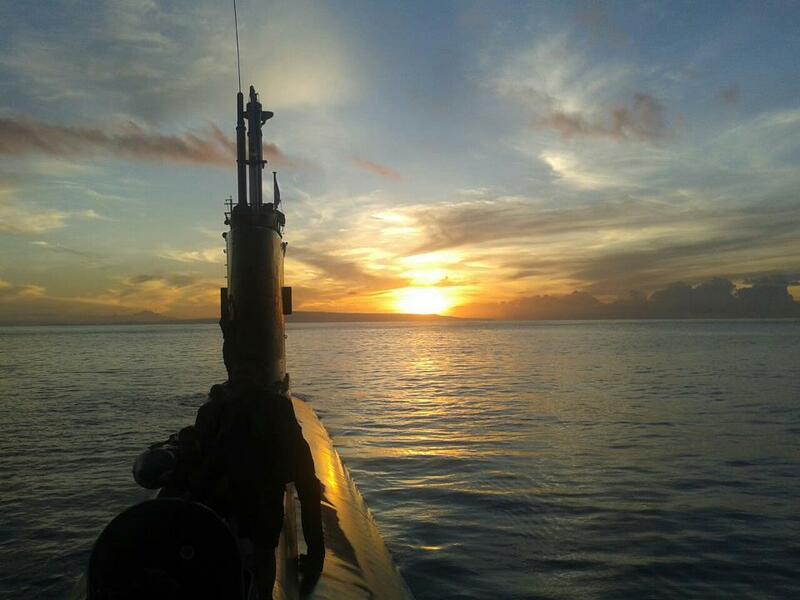 Palu Bay was picked as one of TNI AL’s submarine bases because the bay is quite strategic in Indonesia. It is 10 kilometers wide and its coastline stretches for 68 kilometers while its depth reaches 400 meters. Natural protection against extreme ocean currents is also considered to be adequate and advantageous for a submarine base. “At such a depth, large vessels, such as aircraft carriers from the United States could easily navigate through the bay,” said Marsetio. The Palu Naval Base will in the future not only serve as a forward base, but a main naval base. Therefore, the navy will equip it with various facilities given the base’s close proximity with the Malaysian border. “The Ambalat waters remains vulnerable, so the submarine base in Palu is most strategic to secure the region,” he added. Meanwhile, Central Sulawesi Governor Longki Djanggola said that based on documents belonging to the Palu city administration, in terms of defense strategy, Palu Bay is centrally situated between the Indonesian border in the north and the Java Sea in the south, so submarines stationed there could cover the region effectively. The area is also part of the second Sea Lane of Communications (ALKI) II, where large merchant ships could traverse under the UNCLOS international maritime law. “Malaysia, the Philippines, Japan and China, which are very strategic for Indonesia from the geopolitical and geoeconomic aspects, are located north of the ALKI II. So, Palu Bay is very suitable as TNI AL’s submarine base,” said Longki. Indonesia’s current submarines, the U-206 type KRI Cakra and KRI Nanggala, were made by German shipyard Howaldtswerke in Kiel, Germany, and were commissioned in 1981. The three U-209 type submarines, worth some $1.07 billion, will be delivered in 2015 and 2016. Two of the submarines will be build at Daewoo Shipbuilding and Marine Engineering (DSME) facilities in Busan, South Korea. The third would be completed at the state-owned shipyard PT PAL Indonesia facilities in Surabaya, East Java. Initial reports said the submarines would weigh 1,400 tons and be 61.3 meters long. Each submarine will carry up to 40 crew members and have eight weapons tubes for torpedoes and other weapons.